IF YOU ARE INTERESTED EMAIL ME AT: wynellwpposner@ukboss.com . Oh Yeah!!!! 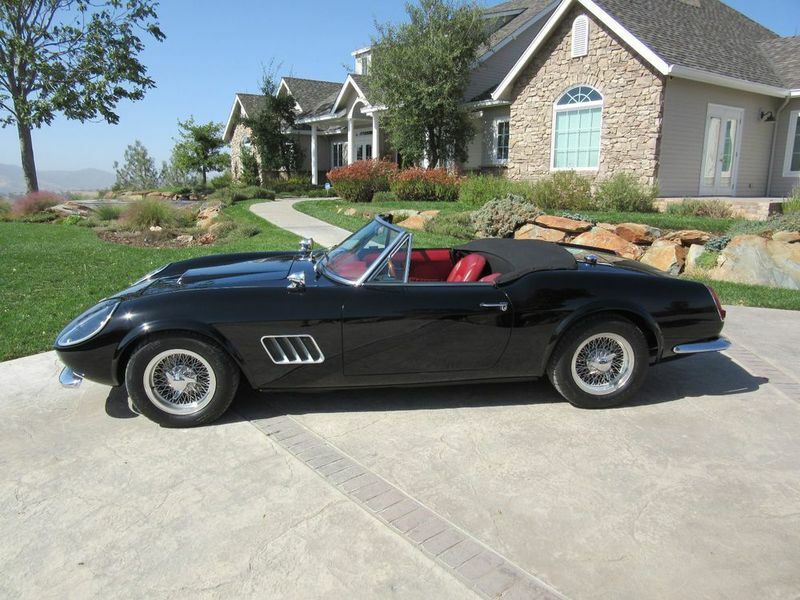 Born elegant and made famous by the hit movie "Ferris Bueller's Day Off", this 1961 Modena Ferrari 250 GT California Spyder is absolutely stunning! This beautiful Modena Design Ferrari is 1 of only 32 re-released 1961 Ferrari 250 GT California Spyders made and are highly sought after by Ferrari collectors and auto enthusiasts around the world. THIS IS NOT A KIT CAR! This stunning classic was hand built by Modena Design & Development in the El Cajon, CA facility. 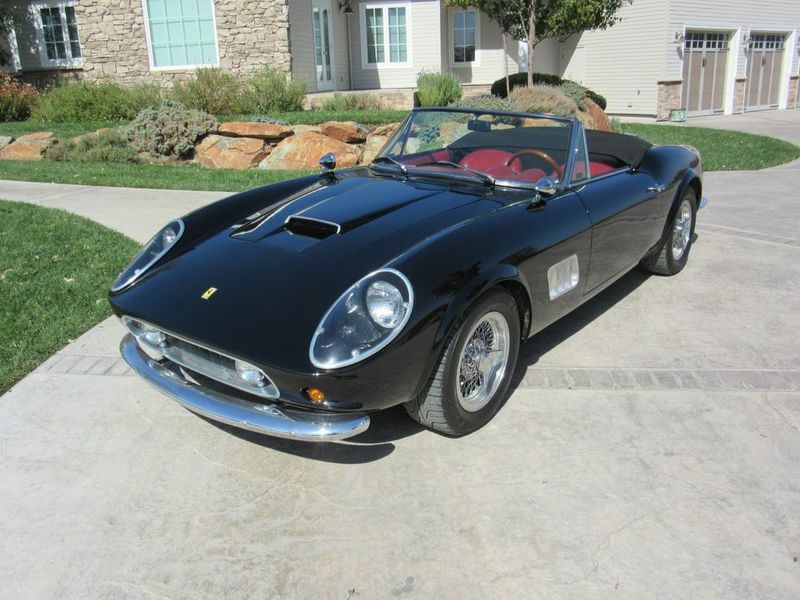 In the early 1980s California entrepreneurs Neil Glassmoyer and Mark Goyett founded Modena Design and Development in El Cajon to manufacture the Modena Spyder California, a Ferrari 250 GT Spyder-based sports car that far exceeded the quality and finish of other independent offerings of the time to be used in the 1980's hit movie "Ferris Bueller's Day Off". The Modena Design Ferrari 250 GT California Spyder is so exact to the original, Ferrari sued Modena Design and won a cease and desist order. Therefore, only 32 of these rare beauties were produced making them very rare and highly collectible. Unless you have 15 Million Dollars for the real thing, there are no others which compare to the Modena Ferrari 250 GT California Spyder. Modena Design won the hand crafted automobile award the year their spyders were produced! Further, with the limited production due to the cease and desist order, the values of the Modena Ferrari 250 GT California Spyders have been rising and will continue to rise. With only 32 made, the Modena Ferrari is highly sought after, highly collectible and will continue to be a great investment! 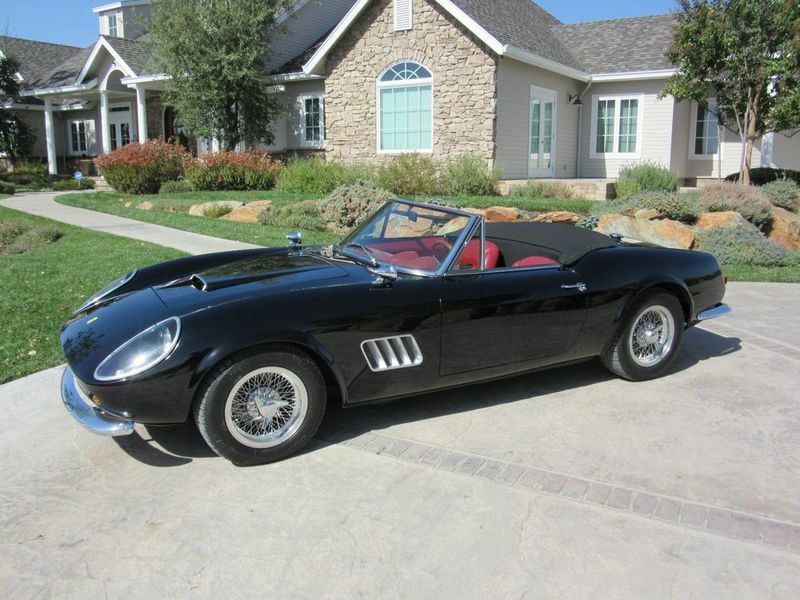 This Ferrari Modena 250 GT Californa Spyder comes with the original sales brochure and build sheets (see photos)! Do not get taken for a fake!!! This is a true Modena Design Ferrari 250 GT California Spyder! As for the specifics of this vehicle: Frame: Multi-tube backbone type, .120 Mild Steel, jig assembled, mig welded Engine: Ford 5.0 Litre O.H.V. V-8 Transmission: Four Speed Manual Front Suspension: A arm, lower control arm and strut, adjustable coil over shocks Rear Suspension: Solid axle, four link with Panhard rod, adjustable coil over shocks Steering: Rack and pinion Brakes Front: 11" vented disc, semi-metallic pads Brakes Rear: 10" drum, semi-metallic shoes Wheelbase: 102.3" Track (F/R): 57"/57" Length: 173" Width: 68" Height: 50" Curb Weight: 2, 450 lbs Weight Distribution: 50/50 Fuel Capacity: 24 Gallons Mileage (actual): 9932 Final notes: The title is clean and clear in my name.